Currently you do not actually need any qualifications to set up your own grooming business! You DO need to train properly though - and this is where we can teach and guide you through the skills you will need and advise you on everything - from equipment, handling of dogs and conducting visual health checks to pricing, record keeping and communicating with customers. This course may therefore be the one to choose for those who wish to learn how to groom dogs and make a career out of it - but don't feel ready yet to embrace the extra studying needed to gain a qualification. If and when you do feel ready to add a recognised qualification you can easily do that by returning for further Guided Learning Hours. This would be at an extra cost and would require registration with City & Guilds or OCN. The course starts with the basics, i.e. bathing and drying and learning how to brush out a knotty coat, and continues through all the grooming skills you would need to carry out clipping and styling in your own grooming business. 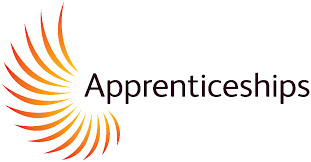 On the practical side you will get the SAME TRAINING and learn the SAME SKILLS as those students who are doing the City & Guilds courses. The main difference is the level of theory included for C&G - and, of course, no exams after the course is completed! *Model dogs are provided by their owners, our customers, who give written consent in advance. The owners are rewarded with a generous discount from their normal grooming price. Although we do our utmost to ensure that there are the right number of dogs for our trainees on a daily basis we have no control over a sudden change of circumstances - such as a dog failing to turn up or cancel due to any number of reasons. In this event we will find alternative relevant prep work or study modules to fill the gap. On this course you will be given written learning notes on the common animal health problems which we come across in the grooming salon and need to have some knowledge of. As well as the numerous minor health issues which we see frequently, you will get teaching notes on things like the many eye problems, parasites, hip dysplasia and quite a few other conditions and disorders which you will need to identify and record as well as sharing your findings with the dog's owner. You will also receive written Training Aids to help you undeerstand the rationale behind your newly learned skills, and these are handed out gradually during the course for you to keep and look back on when needed. Beyond the skills of grooming you will gain an insight into client relations. 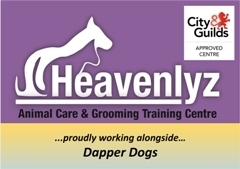 You will receive a Dapper Dogs booklet called Start Your Own Grooming Business which will assist you to get your business up and running with advice on equipment, advertising and marketing, diary planning, the right level of insurance, fitting out your grooming salon - and much more! 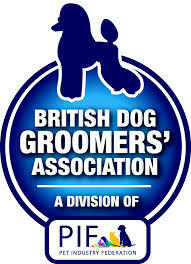 Dog grooming is a specialised industry which has different needs to other types of businesses when it comes to choosing a location, setting up and using your budget wisely - and Dapper Dogs has been prominent within the industry for over 20 years now - so we have a wealth of experience and knowledge to pass on! No exams are taken, and on successful completion of the course you will be ready to start your new career and will be awarded the Dapper Dogs School of Grooming Certificate in Dog Grooming to prove it! Flexible Attendance:- The first day of any course – the Induction day - includes a huge amount of new information so for this reason it is better for all students - flexible or otherwise - to attend a pre-arranged induction day along with other students, and we find it helps you to really settle in. The second day is also necessary because we use that day to introduce you to the different types of grooming equipment you will use and how to handle dogs safely. After that the choice is yours so you can be as flexible as you want or need to be. You tell us when you want to attend, for example 1 or 2 days a week – or a few days in a row every few weeks - or almost any combination can be arranged. A full course consists of a fixed number of ‘guided learning hours’ (GLH) to complete your course - so we will keep a signed off attendance record throughout. This means that if some of your training days are shorter because you need to go to another job or pick up your children from school, your course will just continue until you have completed the GLH. This kind of flexibility allows you to train for a new career whilst still holding down another job or meeting other commitments. We would advise that you don’t let too much time elapse between attendances so that you don’t forget your newly learnt skills.